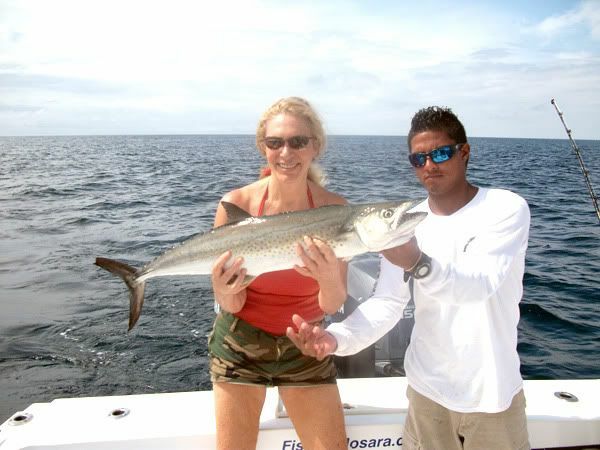 We are still waiting for conditions to settle down and the blue water to move close to shore, but in the meanwhile there has been a nice surprise coming to the shores near Garza: the Ciero Mackerel. Named for there zero-shaped spots (‘Ciero’ is Spanish for ‘zero’ and they are pronounced almost identically), these fish are the total package for fun angling: good fighters, hard biting and great tasting. A genetic cousin of the King Mackerel, the Ciero makes for fantastic sushi. 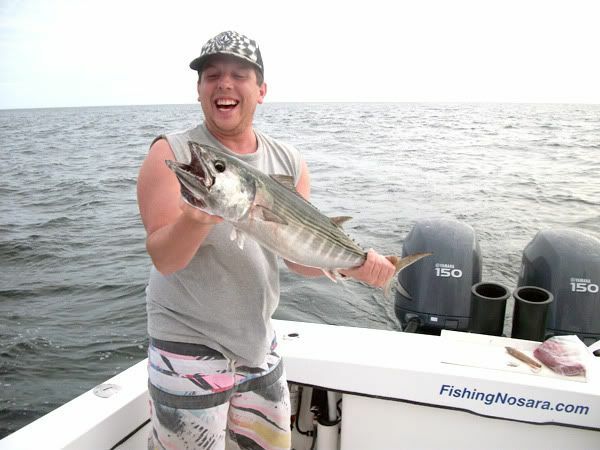 In late November we made a great new friend named Jeff Grosshandler from New Jersey. 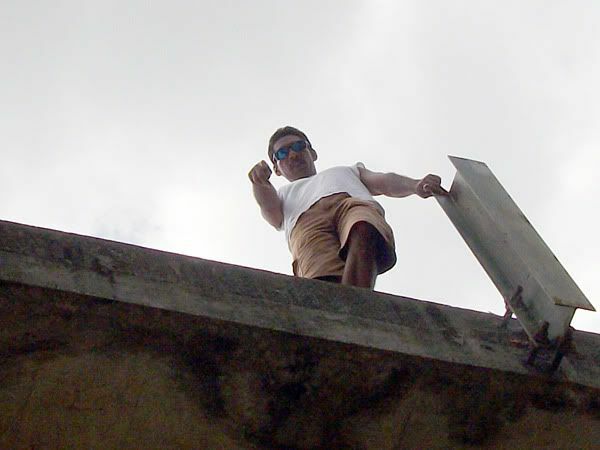 Jeff is a very interesting fellow who is currently organizing a new development in Nosara’s K section. 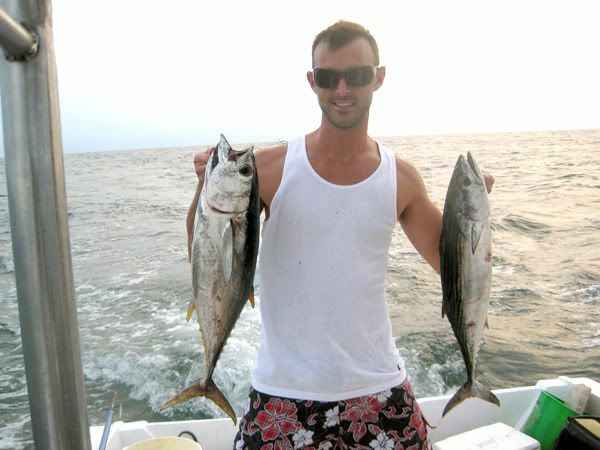 A financial wiz and an avid surfer, Mr. Grosshandler will surely become a familiar face around Nosara for years to come. 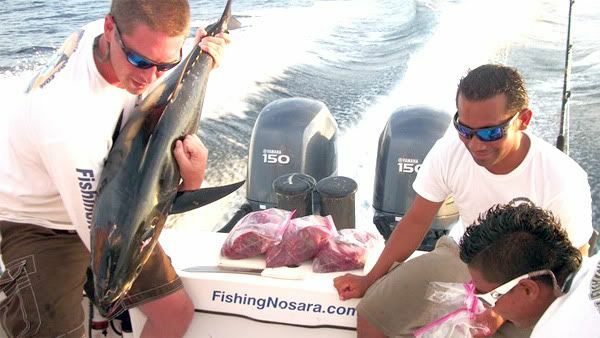 He has booked several trips in the last few weeks with the FishingNosara team, and this 35lbs. 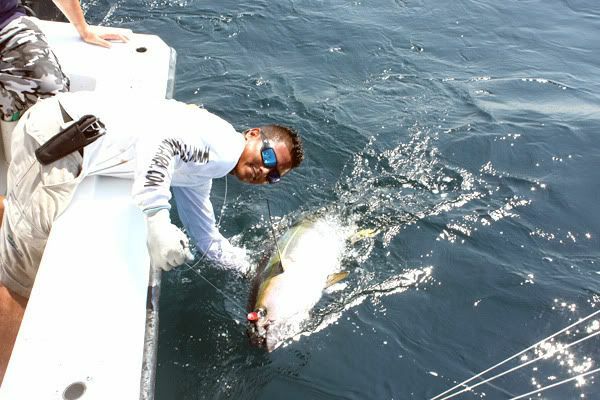 Dorado and tasty white tuna are just a sampling of his great catches. 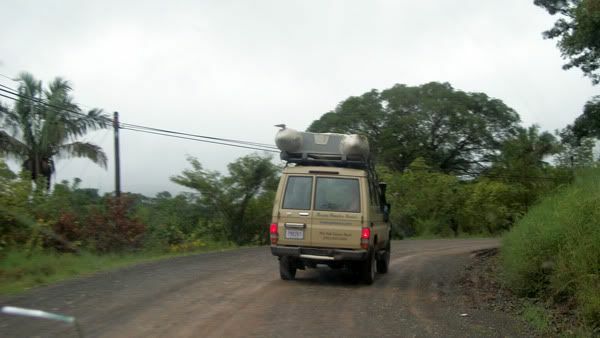 Pura Vida Jeff! 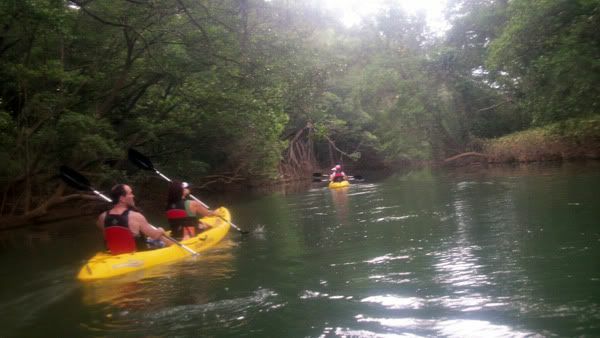 Adventure awaits around every corner in Costa Rica. 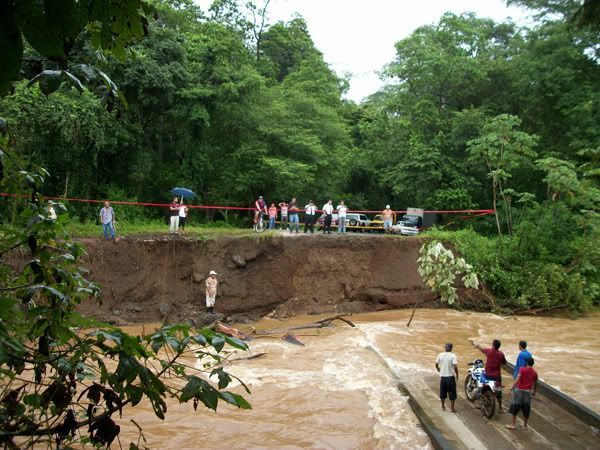 Clients Russ and Nikki were on their way home from Nosara when they came upon a washed out bridge. 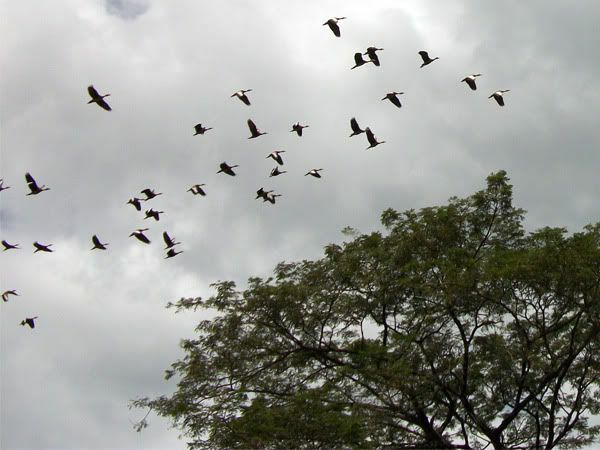 With no land access to the other side, Russ and Nikki were in danger of missing their outgoing flight in San Jose. 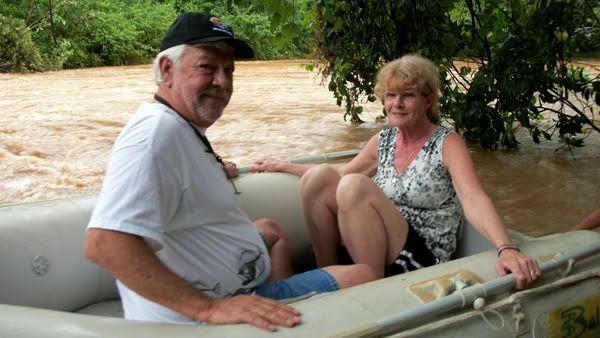 After loading their luggage across the river in a sling, it was Nikki and Russ’ turn. 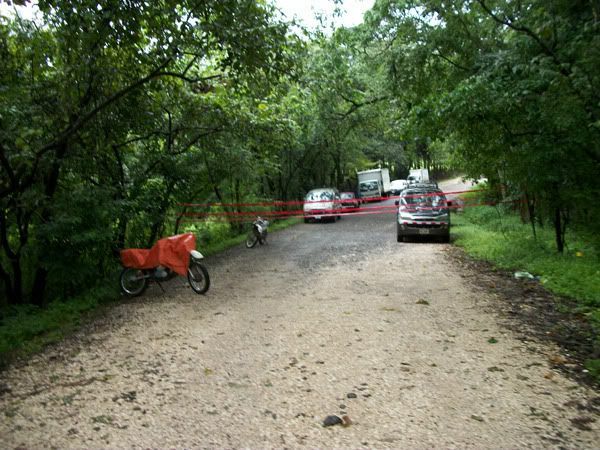 They made it safe to the other side and made it home without further incident. 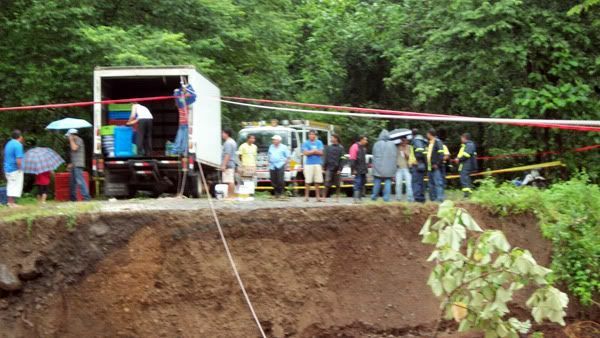 Great work by Javier, Manuel and Cumi in overcoming this obstacle. 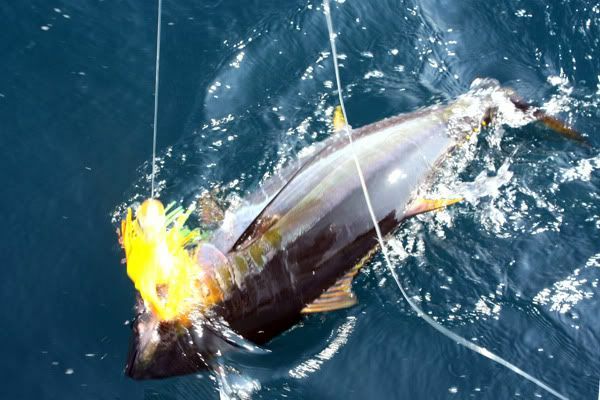 On November 21 Craig Sutton was joined on the Wanderer by Matty, Pat, Paula, Craig Jr., Sylvia and Charley Barnhart and we did a full day of work on the offshore Yellowfin Tuna. 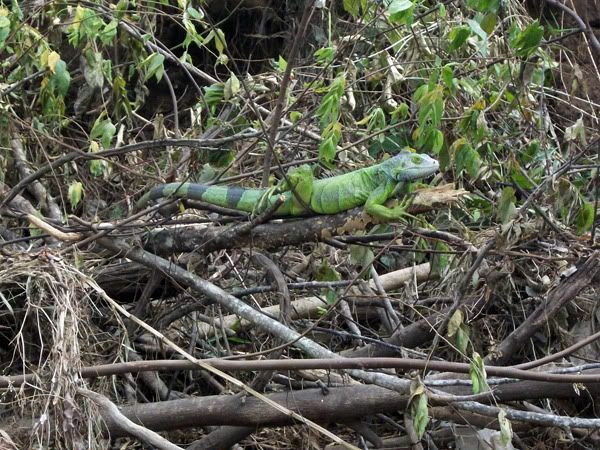 The big Yellas were chowing down on Williamson Jet Poppers and slow-trolled cedar plugs. 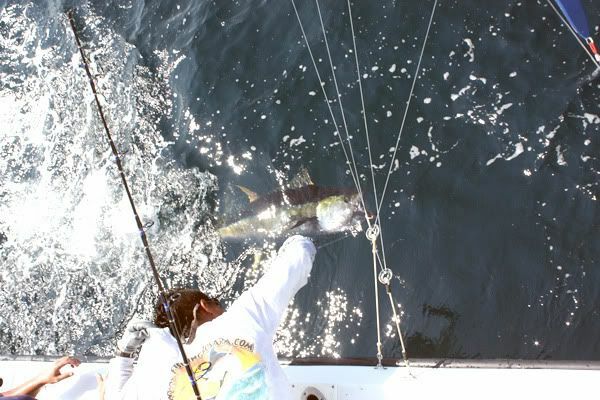 Even though these catches were great, we still left a few big fellas in the water. Overall, a great day fishing with some great folks. 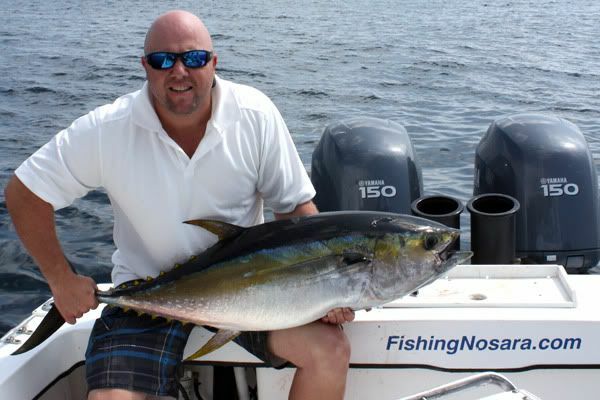 Also clients John, Joe, and Bruce Sabine finished their week of fishing in Nosara by making life miserable for the big Yellowfin Tunas. 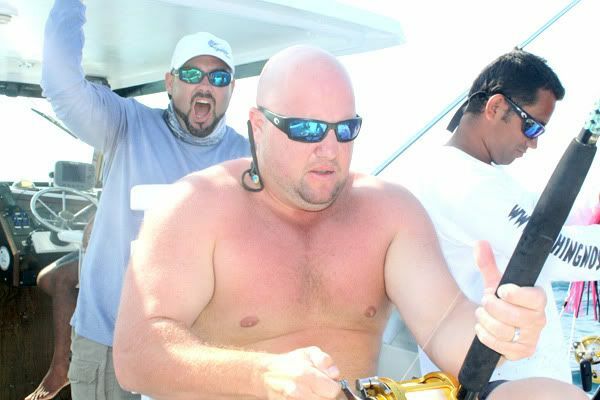 Jet Poppers and ceder plugs were the hot lures, and the trio of Tampa anglers had a legendary good time. 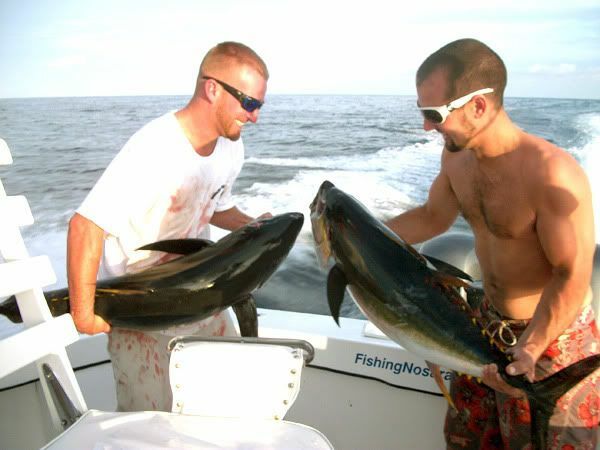 The fishboxes were so stuffed that they released this 70lbs. 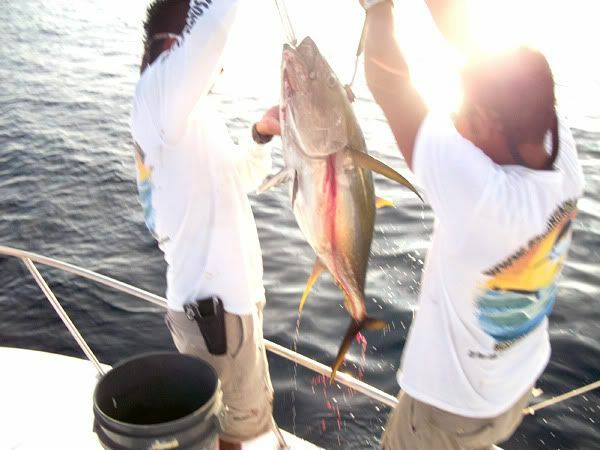 Yellowfin. 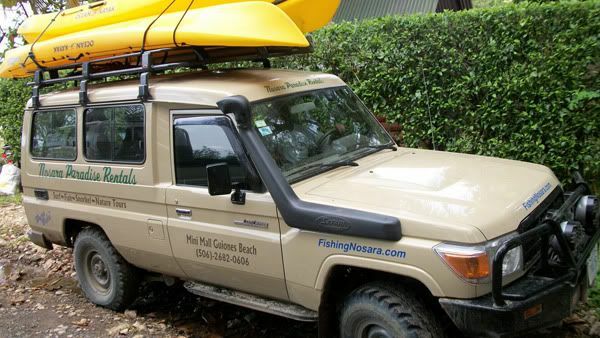 FishingNosara is pumped to offer Kayak Safari Tours as a new way to explore the Costa Rican wilderness. 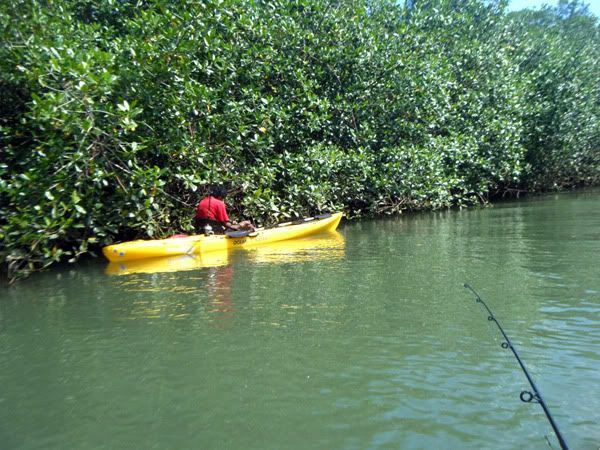 Also, these brand-new 13′ Ocean Kayaks are the only way to get to the Mangrove Snappers and supersized Snook at the estuary between the Nosara River and the Pacific Ocean. 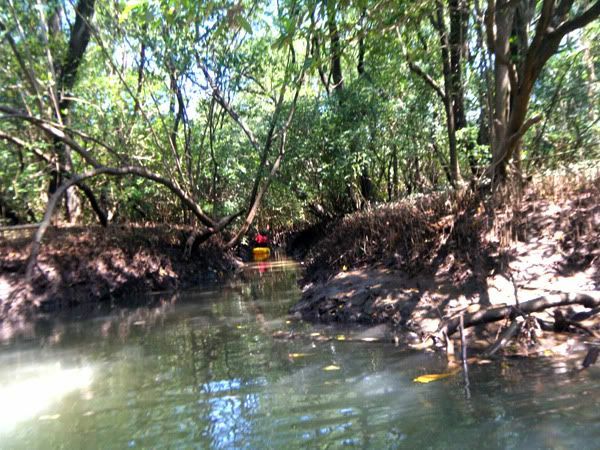 To test the new vessels we sent the best of the FishingNosara team to explore the river. On Thursday November 11th the fellas put the Kayaks through their paces and scouted many spots for future fishing expeditions. 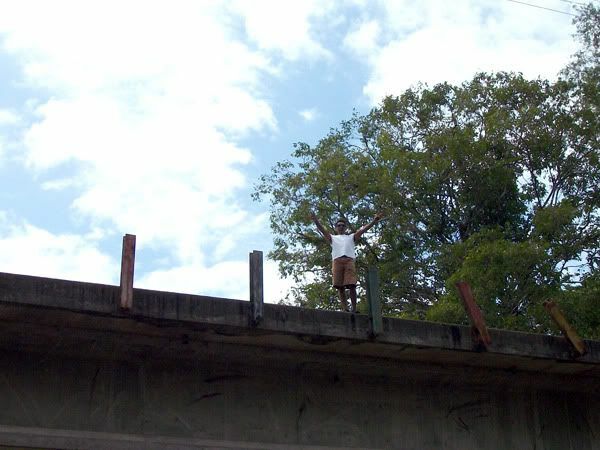 Captain William made his way to the train bridge overpass to make sure the boys were staying out of trouble. Our crews certainly look out for each other. 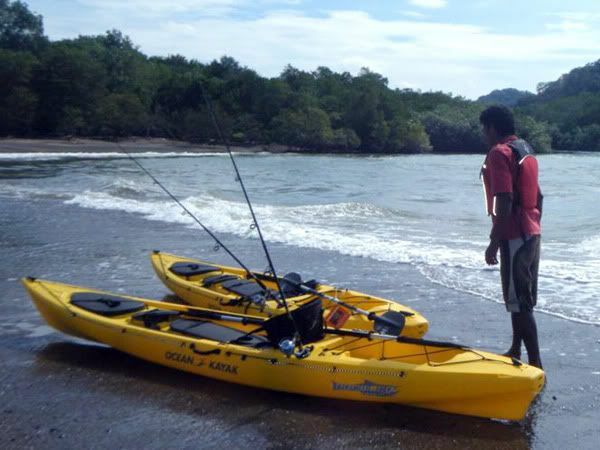 Our first Kayak Safari client was Eduardo Barrios on Saturday November 13th. 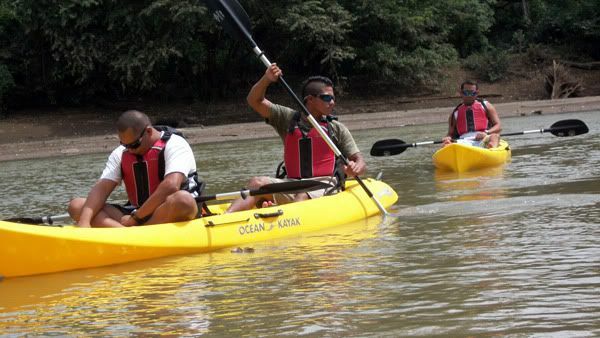 Accompanied by Guide Johnny, Mr. Barrios explored the river and the saw tons of wildlife. Also he did some more preliminary scouting for Snook. 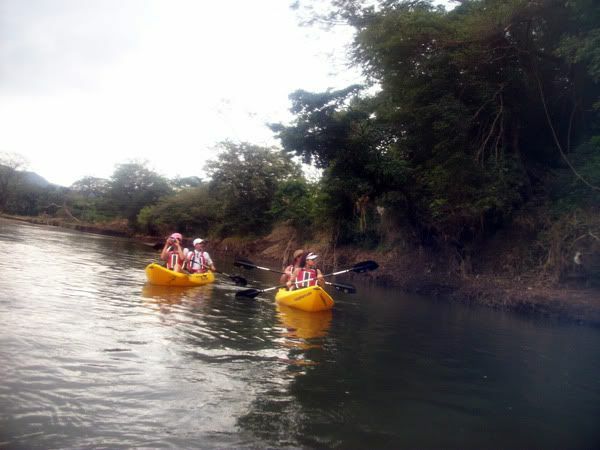 Recently client Hal Breedlove and his group went out with Javier on Thursday November 18th for a 3 hour trip down the river. The saw incredible natural beauty and had an absolutely fantastic time. 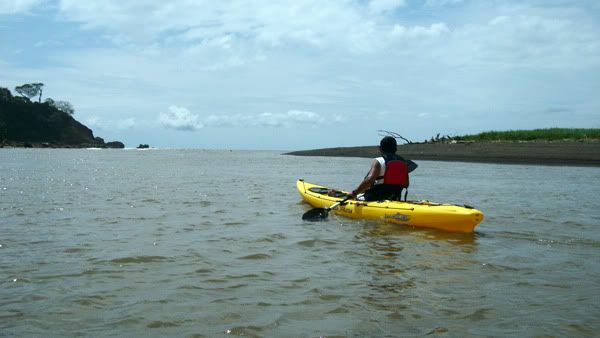 Kayak Tours provide an economical way to fish and explore the wilderness of Costa Rica. 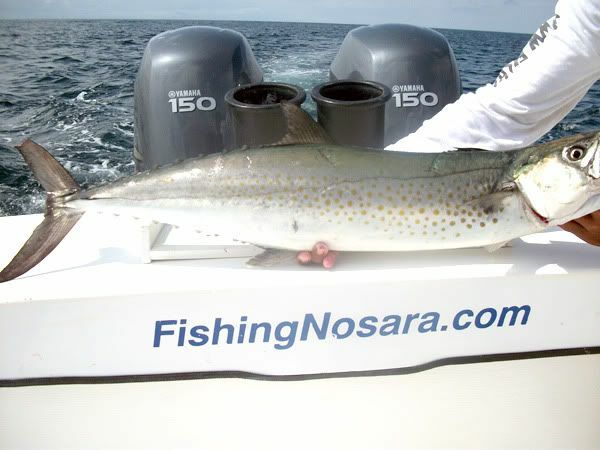 Check out the Safari Tours section of FishingNosara.com for all the details. 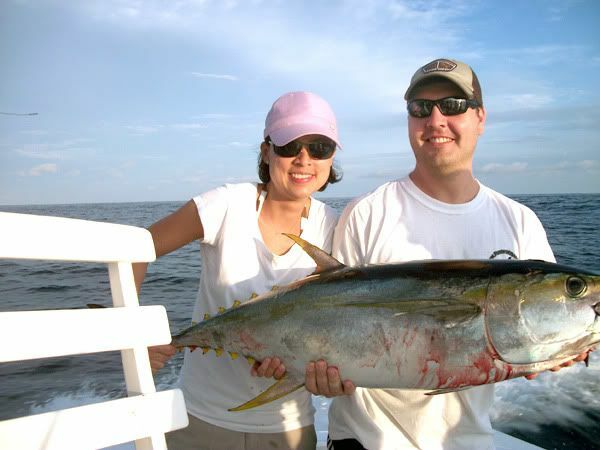 On November 18th these clients had an absolute blast on a half-day fishing trip on the Nice n’ Tight. 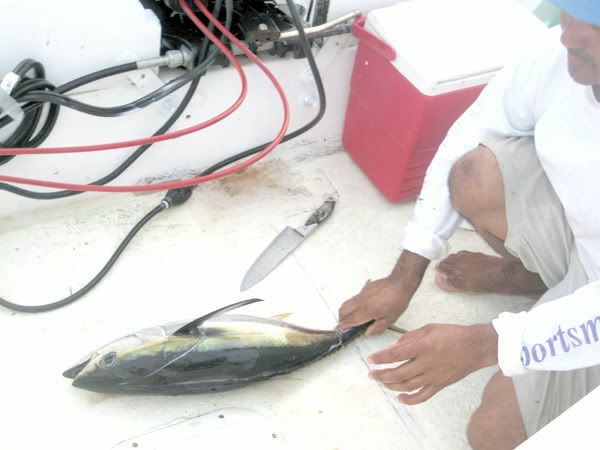 They caught several tunas and enjoyed fresh sushi served up by Captain Eduardo. 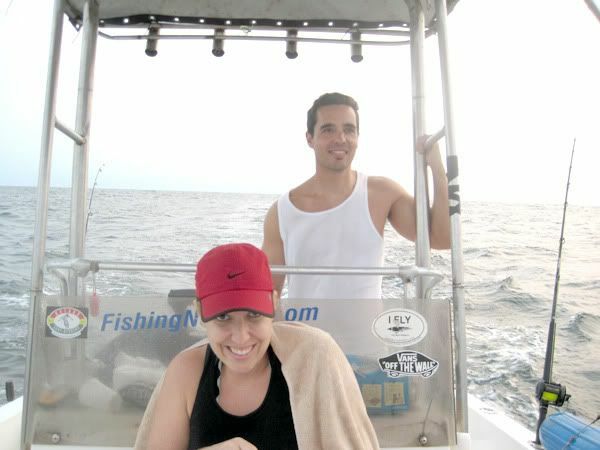 These clients also reported seeing schools of spinner dolphins and a small pod of gray whales. 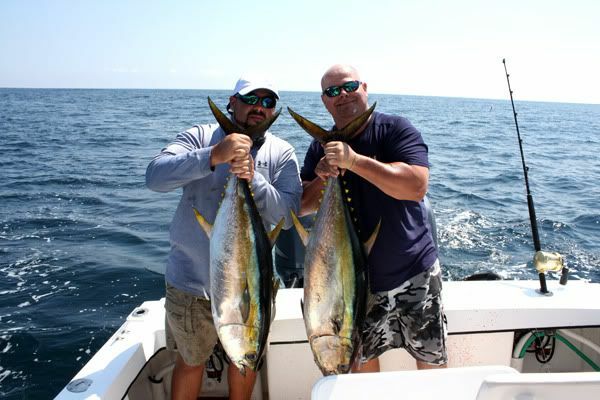 Day Three for John, Joe, and Bruce brought more Yellowfin to the Wanderer. 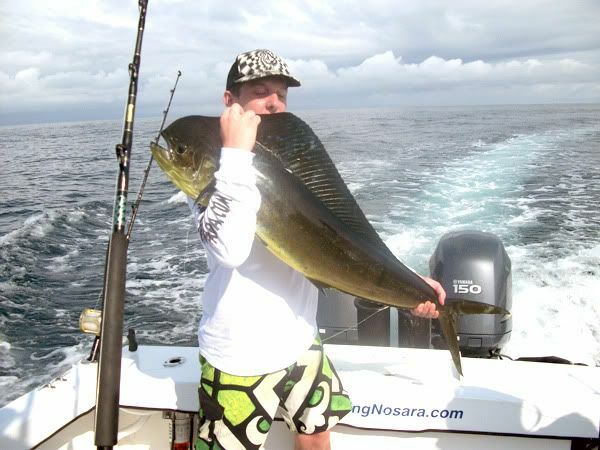 These big Yellas are biting fiercely right now and should continue for the rest of the season.